It is about that time… baseball season just beginning, and again this year you can take the train to the game on Metro-North. Although the new Yankees E. 153rd Street station stop makes it easier to get to the stadium, taking the train to the game really isn’t a new idea. 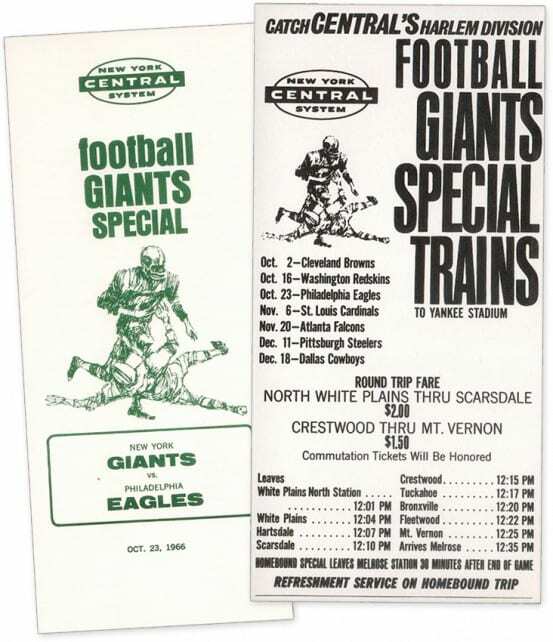 The railroad has operated special game trains for years – even back in the New York Central days! And we’re not just talking about baseball – football too! Before Giants Stadium was completed in 1976, the team’s home games were played at various locations – and from 1956-1973 that location was the original Yankee Stadium. Instead of accessing the stadium on the Hudson Line (like today), train riders would take the Harlem Line to Melrose station, and from there walk the short distance to Yankee Stadium. 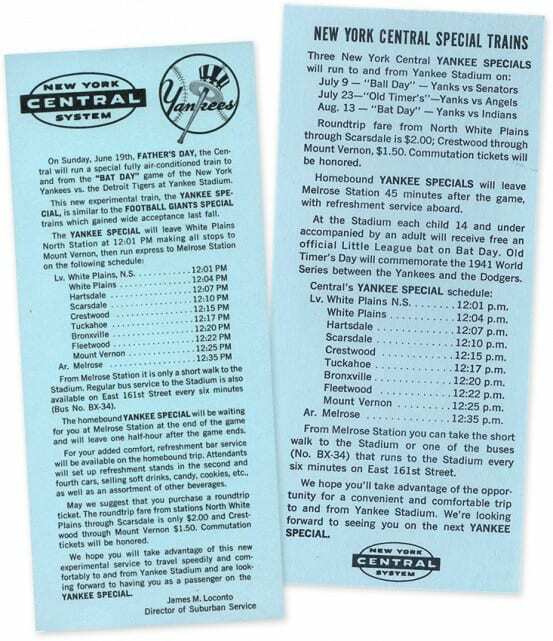 Below you will find a few of the brochures the New York Central printed about taking the train to Yankee Stadium for baseball and football games. With the exception of the final two (which are more current Metro-North versions), they were all printed in 1966. Special thanks to Otto Vondrak who owns and scanned most of them for me! 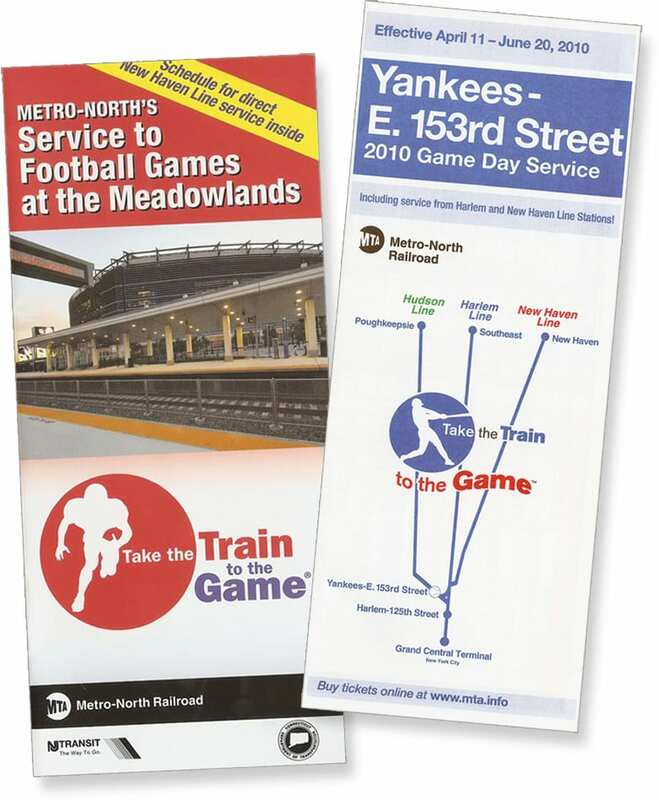 A little bit more current “Take the train to the game” brochures. Both teams could have used the help from the train… both the Yankees and Giants finished dead last in their respective leagues that year. I was just going to say the same thing, Harry. Remember Tucker Fredrickson and Horace Clarke? (I know this is not a sports site, but i couldnt help it). I like the fact that “Take the train to the game”, a fairly generic sentence (and not a great rhyme) appears to be a registered trademark. When I read “1966 style,” I thought in addition to NYC memorbilia from 1966, you were going to go to the game dressed as a girl from 1966. 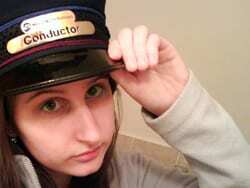 How silly of me.